If there is one place you would expect Californians to take advantage of the state’s legalization of recreational marijuana, it would be at the Coachella Valley Music and Arts Festival set for mid-April. Not so fast, though. Coachella once again is banning use of marijuana at the festival. You can forgive people for expecting otherwise. Voters approved adult-use marijuana in November of 2016. And while use is restricted to private property, the Coachella festival is held on private land – the Empire Polo Club in Indio. But festival organizers have decided to ban marijuana, along with other drugs. Much like Colorado, California has made it legal to use marijuana in private places. And while the festival is held on private land, it will attract tens of thousands of people to one location. So, does that make it public? Only lawyers know for sure, and the questions hasn’t been completely answered, Indio Police Sgt. Dan Marshall told the Los Angeles Daily News. The newspaper pointed out that the Colorado Symphony Orchestra already ran into this issue in Denver. They promoted a marijuana-themed concert series, but the Denver city attorney’s office wanted the series cancelled because they deemed the concert a public event. The symphony, not to be deterred, made the concerts invitation-only, skirting the law. Others are planning the same kind of work-around near Coachella. Some events are taking place around the Coachella festival that will allow marijuana use. The best-known is an event called Get Lit, which will be held at a secret location in Indio and will feature music, food and marijuana. 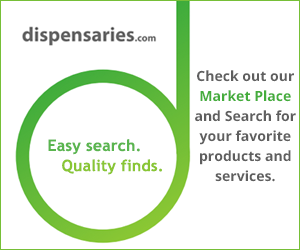 It will bring together many of the medical marijuana companies in California. You have to register on the event’s website to get in. In the meantime, over at Coachella itself, authorities will provide “amnesty boxes” near entrances so that those who didn’t get the news about marijuana use can drop whatever they brought in. No questions will be asked and you can go on about enjoying the festival. By the way, the headliners for the two-weekend festival are Radiohead, Lady Gaga and Kendrick Lamar.